In June 2017, Kampani completed the transaction with FECCEG, a Guatemalan cooperative. FECCEG was established in 2006. FECCEG has almost 900 member-families. Its members are mostly indigenous people in the West of the country. In origin, FECCEG was only a coffee producer and exporter. Now, it is active also in the production and commercialisation of honey. But coffee remains by far their most important activity. With the financing provided by Kampani, FECCEG is building a factory for the production of organic panela (whole brown sugar). 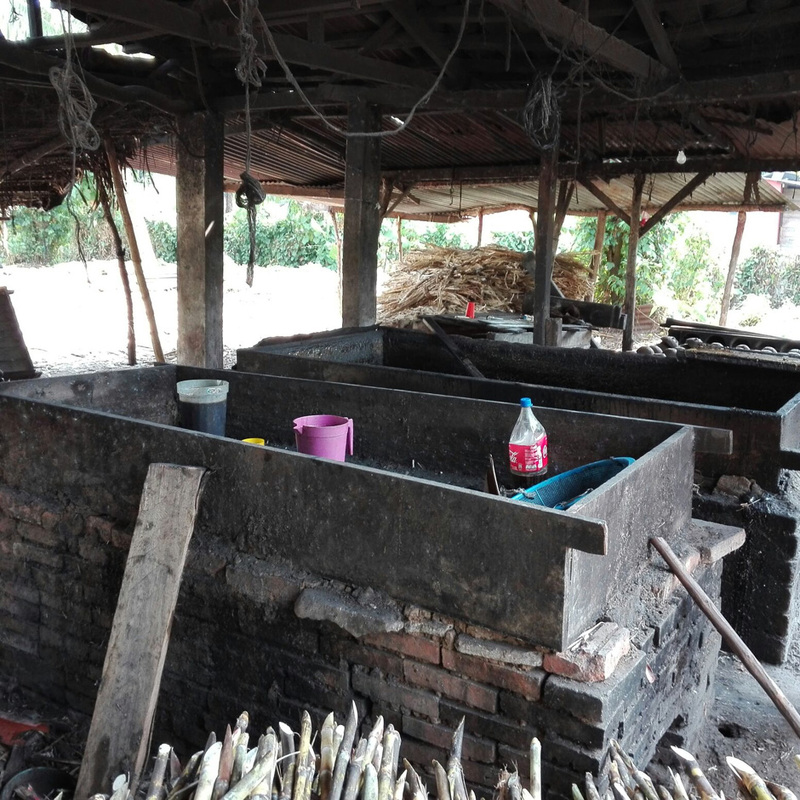 The highly fragmented nature of the traditional panela production and the threat of noxious levels of acrylamide in traditional production methods, have thus far prevented this market to develop internationally. The total estimated CAPEX amounts to 674k USD. FECCEG contributes 95k USD with land and in kind support. Some 240k USD is needed for the construction of the factory building itself and another 291k for the equipment. The panela production facility is expected to come online in 2018. Picture: the hygiene standards of the traditional panela production are insufficient for the export market. The country struggles with the aftermath of a long and violent civil war (1960 – 1996) and high crime rates that have not fallen since the end of the conflict. The armed conflict was a reaction to the extreme inequality and racial discrimination still characterizing Guatemala. Until today the predominantly indigenous rural population is the most affected by malnutrition, poverty and exclusion. The South-West of Guatemala (where FECCEG works) is a mountainous region where the population is largely indigenous. People live of small-scale agriculture, livestock and small coffee cultivation. There is a shortage of farmland for the growing population and often the ground exhausted by years of cultivation of corn and beans with chemical fertilizers and pesticides. FECCEG is a federation of small producers associations with 890 paying members, representing 1.934 producers (a member can have different members of the family that are producers). The members belong to four ethnic groups that are living in the highlands of the western part of Guatemala. Altitude in those regions varies between 1,500 and 1,800 meter above sea level. Dependency on local buyers and intermediaries who pay low prices. Lack of a processing plant to process quality products for international markets. Lack of access to specialized market niches in the United States and in Europe. Moreover, FECCEG steers members to organic agriculture. Members benefit from the fairtrade premium, access to NGO-type TA, and microfinancing all through FECCEG. Specific to the new business line, it is interesting to note what has motivated FECCEG to move into that area with this activity. The sugar cane is produced in the lowlands relatively close to the coffee production areas. In other words, it very much belongs to the part of the country which is particularly poor and vulnerable. The possible arrival of a factory in this area has created quite a splash, in an area with no industrial activities of any type.